1. Extra Security: If you’re visiting Kailua during the holidays, expect to see LOTS of extra security around Kaiulana Place, where the Obamas typically rent a few houses during their vacation. The neighborhood is generally a safe area, but many residents are more than happy to have a little extra security around, especially during the holidays, when the number of break-ins can increase. “It’s exciting. It’s really an honor to have him here, and when he’s around — actually the place is super safe because we have all this security around,” Lanette Hayashi told Hawaii News Now. She lives in the neighborhood where the Obamas are expected to stay again this year. 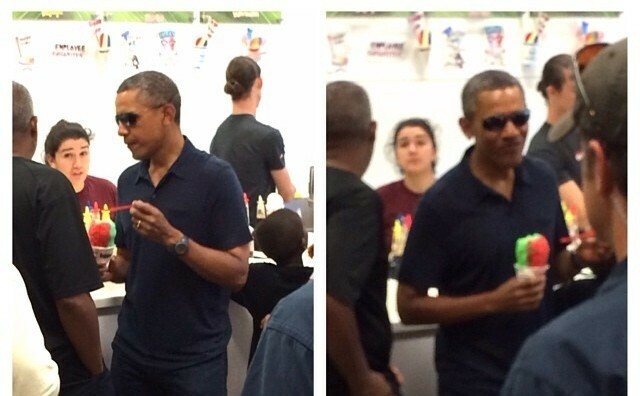 Because President Obama likes to visit local venues like Island Snow, extra security is visible around the islands. 2. Island Businesses Benefit: President Obama’s Hawaii vacation also means lots of exposure for many local businesses. Each year, the Obamas frequent different local businesses, but none perhaps as often as Island Snow. The employees there look forward to their visit every year. For them, and many other local hang-outs, a visit by the President means a boost in sales. “For us, we just kind of cross our fingers and hope that he stops by,” described Richard Whaley, who has served the President and his family the last few times he’s come in. President Obama has been known to visit Rainbow Drive-In in Kapahulu and Zippy’s. 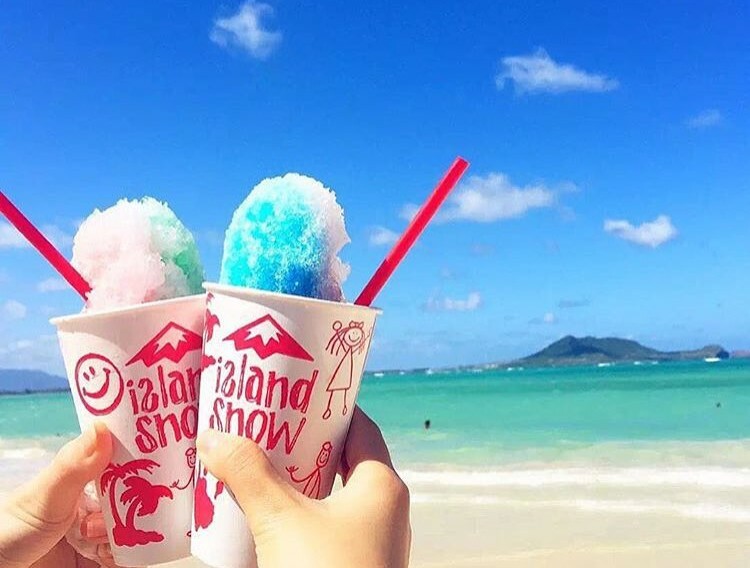 Island Snow is one of the many local businesses that see an uptick in business during the President's visit. It's also a place President Obama likes to visit during his stay. 3. Hawaii Takes the Mainstage: Sure, Hawaii is a top visitor destination, but what better press can a state get than hosting the President year after year? During recent trips to Hawaii, President Obama has visited Pearl Harbor, Hanauma Bay, the Nuuanu Pali Lookout, among other notable destinations. Who knows? If you book a Oahu excursion through Hawaii Aloha Travel, you just might catch a glimpse of the President at play (but, security detail may keep you at a distance). President Obama is known to golf with his old Punahou buddies from time-to-time and has even visited the cemetery at Punchbowl. Every time a picture’s taken of the President enjoying his time in Hawaii, the state gets free press coverage to entice even more visitors. And, visitors keep our state’s economy rolling. True, the President’s visit can be a bit unnerving for folks who live near the Obama family during the holidays, but all that extra-security and traffic has an up-side, too. Hawaii gets a ton of exposure, we feel a bit safer with the Secret Service around, and island businesses thrive. So, welcome Mr. President!